A Bundle is a new entry in your inventory comprised of existing Products. Like a dish comprised of multiple ingredients or a buy one, get one free deal with two products included. Bundle Variants can also be used to Track Commissions as well as set up Alternate Pricing for Products that have multiple price-points. 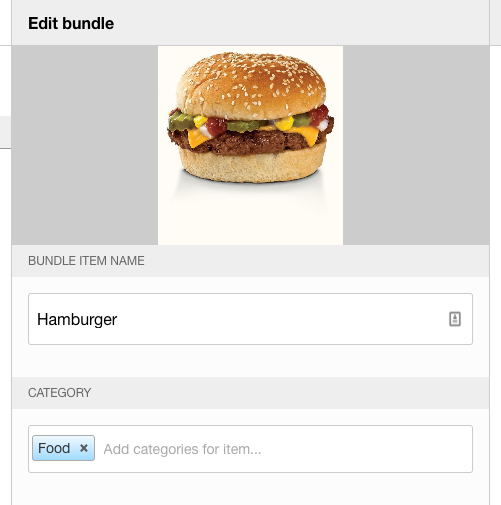 Before you create a Bundle, you must first create the components/ingredients of the bundle as Products in the Inventory section of Shopventory. SKU and Barcode numbers are always optional. Prices can be set to zero since prices and taxes will be added when building the Bundle. 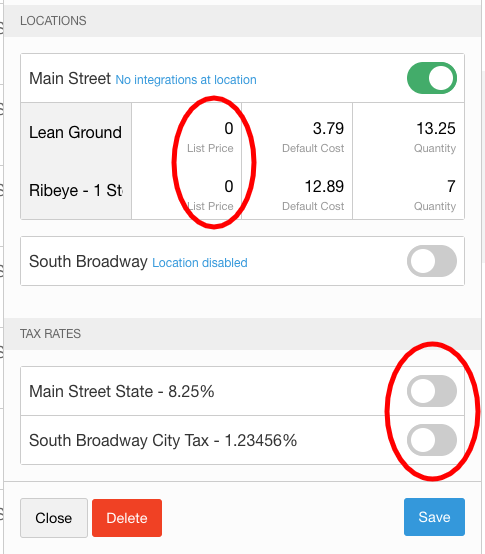 Calculating Costs per unit of your ingredients will allow you to accurately track your margins on bundled products. 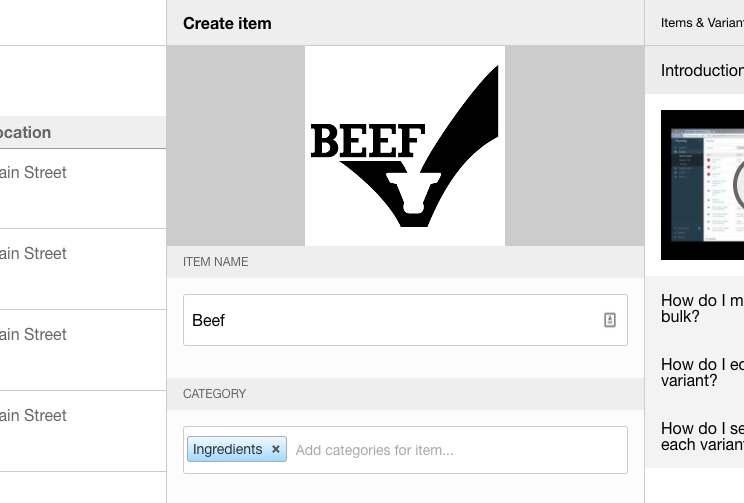 Go through and create an entry for each component/ingredient. Once all components have been created as new products, you can begin to put them together in Bundles. This is where we can create a new Product consisting of the ingredients/components we just created in inventory. Shopventory will automatically calculate the costs and quantities available in stock for Bundles so no need for complicated math! 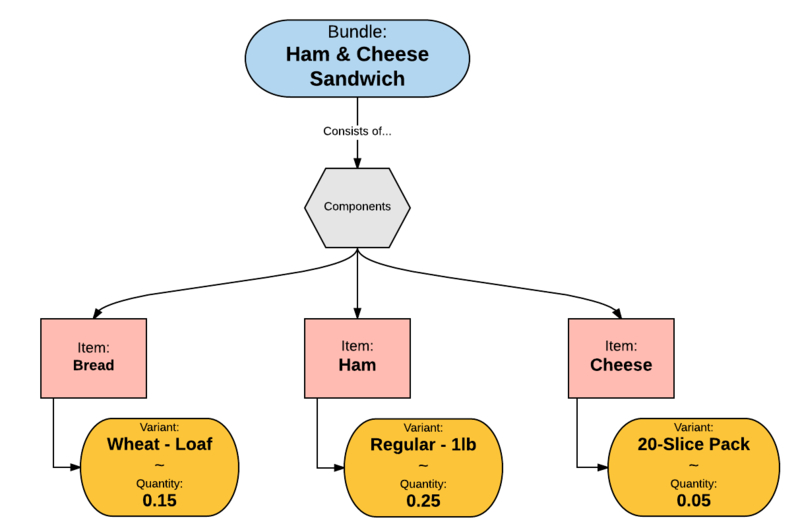 Quantities of Bundles are based on the quantities of the components. They cannot be set directly. 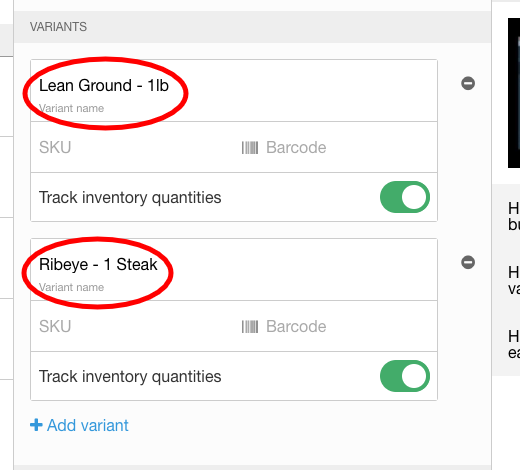 If the quantity doesn't seem right, check the quantity in stock for each of your components (in the Products & Variants list) and the quantities you've set to define the "recipe" for the bundle (as shown above). 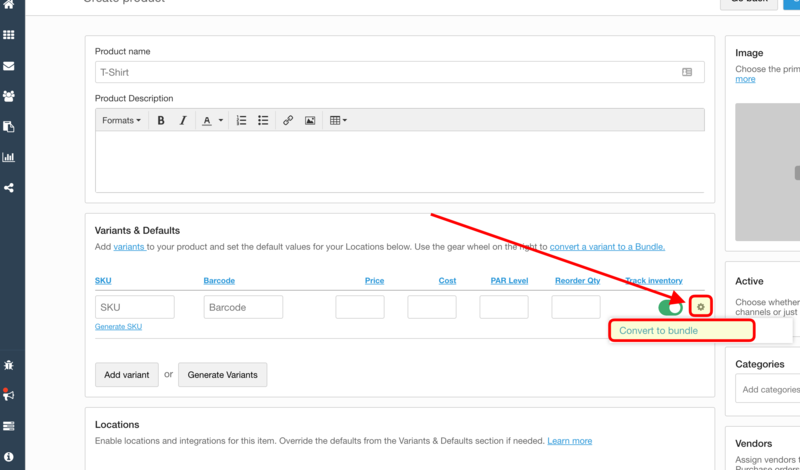 All Bundles will now display in the Bundles page and be pushed out to your POS (Point Of Sale) automatically. They will appear to your POS like any other Product. Shopventory does the magic in the background! You can always edit or delete bundles from the Bundles page. Adjustments you make to quantities of components in the 'Inventory' tab will reflect in the available bundle quantities.